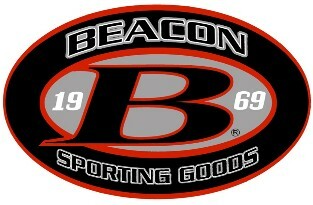 Beacon Sporting Goods believes in protecting your information. With this in mind, we have adopted this Privacy Statement, which describes the information we may collect when you use visit our websites (each a "Site"), sign up for a brand loyalty membership (each a "Loyalty Program"), use our mobile applications (each an "App") or shop in our stores (each a "Store") (collectively the "Services"). By using the Services, you agree to the collection, use and disclosure of your personal information as described in this Privacy Statement. Information You Provide to Us. We only collect certain information from you when you provide it to us, such as when you: (1) register; (2) place an order; (3) complete a survey or product review; (4) participate in one of our promotions; (5) sign up for VIP, Star Club, or other Loyalty Program; or (6) contact us. The information we collect from you may include your name, age, mailing address, daytime telephone number, cell phone number, e-mail address, account user name and password, and payment information. If you use a third party login to register or otherwise link to us, we may receive certain information about you from the third party (such as a social network) based on your registration and privacy settings on that third party service. Tracking Options and California Do Not Track. You may adjust your browser settings to limit certain tracking or to decline cookies, but by doing so, you may not be able to use certain features on the Services or take full advantage of our offerings. Even without a cookie, you can still take advantage of most of the features of our Site, including making a purchase, but we will not be able to recognize you as a registered user unless you log in. Our system may not respond to Do Not Track requests or headers from some or all browsers. We may use certain service providers to provide you with more relevant online advertising based on your activities on our Site and third party sites. For certain service providers, such as social media platforms, and on your mobile device, you can adjust your privacy and advertising settings to limit your tracking for advertising or control whether you receive more relevant advertising. Combination of Information. We may also combine the information we receive from and about you, including the information you provide to us on the Service or through the Loyalty Program, information we receive from third parties, information we automatically collect (as explained above), and information provided or collected offline when you shop in our Stores. Any personal information or content that you voluntarily upload or submit for public posting to the Service becomes publicly available and can be collected and used by others. Please note that, at all times, you are responsible for updating the personal information you provide to us. If you have registered with us or participate in a Loyalty Program, you may update your personal information through your registered account or Loyalty Program account. If you elect to delete some or all of your personal information, keep in mind that we may retain transactional data in accordance with various laws, regulations and our Company's retention policy. We may amend this Privacy Statement at any time. If we make any material changes in the way we collect, use, and/or share your personal information, we will notify you by sending you an e-mail at the last e-mail address that you provided us, and/or by prominently posting notice of the changes on the Site or App. Any material changes to this Privacy Statement will be effective upon the earlier of thirty (30) calendar days following our transmittal of an e-mail notice to you or thirty (30) calendar days following our posting of the notice of changes. At all times, you have the option of "opting out" of receiving future e-mail marketing updates by sending us an e-mail with "unsubscribe" in the subject line at info@beaconsportinggoods.co Even if you opt-out, you may continue to receive non-marketing e-mail messages from us, including, for example, order confirmations. If you previously registered for a text messaging campaign and now want to opt-out, text "STOP" to the short code / number for the program that you've signed up for.